As we all know, the education sector in the UK is notoriously competitive, and ever more so with the on going budget cuts, merger reviews and the rise of private education providers. This means that the few platforms on which colleges and universities advertise are often highly saturated, with a fairly common and bland message - "Apply now!". As a digital & creative marketing agency specialising in the education sector this gives us the chance to push the boundaries in what platforms and sites aren't being used, and the according creative/content to help colleges and universities to stand out from all of the noise. "Can we advertise on Snapchat?" - the question we at Net Natives get asked at every conference and meeting we go to. In short, yes, as a college or university you can now advertise on a platform which until recently has only been accessible to the Coca Colas & MTVs. Having recently met with the Snapchat UK team, we have confirmed that smaller budget campaigns are now a thing. However as with all platforms, we recommend moving forwards with caution - time and time again we see that the best campaigns and most successful campaigns come through well thought out and planned strategies - so take that time to plan. The perfect strategy for Snapchat will be created through understanding the beauty of the platform, which is that it is real time and it gives the advertiser the opportunity to show true personality in a raw and uncut format. If reaching out to 13 to 34-year-olds is your goal, Snapchat is the best social platform to invest in. 13 to 34-year-olds love Snapchat because of three factors: Perspective. Snaps provide users and their friends a more personal avenue to show how they see the world. Real-time stories. 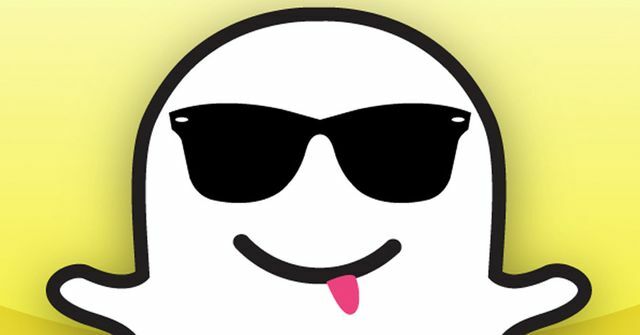 Snapchat stories are raw, updated in real-time, and can only be viewed within 24 hours. Self-expression. Through snaps, users can show the world who they are in the exact moment. Brexit - What does it mean for students? What does Facebook Live mean for local government in the UK?